Learn all about the Holocaust and the experience of Jews in Georgia at the William Breman Jewish Heritage Museum, situated in the Selig Center in midtown Atlanta. A hub of fascinating cultural artifacts, archives, souvenirs, and related items from Jewish history. The museum opened its doors in 1996, and is currently the largest of its kind in the Southeast. The name “Breman” pays homage to the well-known Atlanta businessman and philanthropist who was instrumental in endowing several other religious, educational, and social service agencies for the Jewish community of Atlanta. The Lillian and A. J. Weinberg Center for Holocaust Education housed here offers the Annual Summer Institute for Teaching the Holocaust and a bureau comprising survivors and educators who speak at mostly at schools. What is there to see at the Breman Museum? 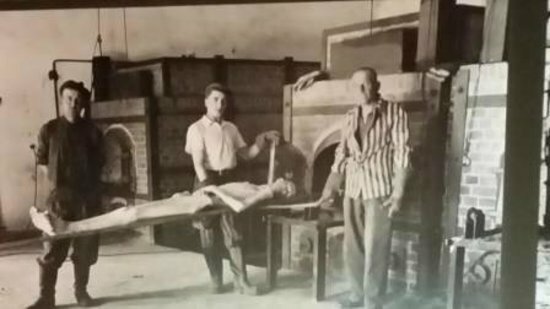 The museum has two of the most famous and permanent exhibitions – Creating Community: The Jews of Atlanta from 1945 to the Present and Absence of Humanity: The Holocaust Years 1933-1944. Quite a lot of programs and special tours are organized just like the event on the 8th of October, 2015, where the focus is on the Holocaust exhibition, designed by Benjamin Hirsch, a child survivor of the Holocaust and an Atlanta architect. Creating Community is a joint collaboration between Breman Museum and Atlanta History Center. What can you expect from the Breman Museum? The museum’s primary objective has always been to celebrate Jewish culture, and promote diversity and social justice, which is wonderfully accentuated via the Holocaust exhibition. Check out the current special exhibition, “Where The Wild Things Are: Maurice Sendak In His own Words and Pictures”, where you can see glimpses of Sendak’s life and some of his most popular work consisting of preliminary sketches, finished artwork and interactive exhibits. You must also visit the Museum Library and Ida Pearle and Joseph Cuba Community Archives and Genealogical Center for Southern Jewish History. These archives contain more than 2,000 manuscripts and 15,000 photographs, ever since its inception in 1985. There are a myriad of miscellaneous items collected and preserved from Jewish families in Georgia. The Jewish Cemetery Association of Georgia is also worth a mention, which is a list of cemeteries and burial sites. The Breman has always portrayed the relationship between minority and majority cultures in a positive way, while encouraging individuals to make decisions for the society by looking at the bigger picture. To learn more about the breman, click here.